Dubai has emerged as a commercial destination, providing opportunities for everyone from around the world. Whether they are backpackers, shoppers, or corporate guests, they find themselves here more than once in their lifetime. If you are one of them, or even if you’re not, we welcome you to the region that has unbelievable architecture, breathtaking sceneries, and fulfilling amenities. However, we also extend our services to a car with driver service in Dubai on hourly basis and for airport / point-to-point transfer. Why would you need a chauffeur service? Our chauffeur (car with driver) services are centered more on the satisfaction of our customers in the whole of the UAE though largely Dubai. As this city is also known for its travel expenses and the harsh weather conditions. Hiring such a service is ideal for quick movement as well as saving costs. Once onboard, you wouldn’t have to worry about hiring taxis every now and then, and spending majority of your money on getting from one place to another. What could you ask for more than a relaxing drive through the streets of Dubai – the center of professionalism in the Middle East? Our well-trained, uniformed drivers have a very profound know-how of the job description of a chauffeur; and thus, you’d have no problem at all. They are equipped with a GPS so you don’t have to always rely on your knowledge considering the landscape of Dubai changes ever so often. No matter which car class you love, we have a majority of them in mint condition. All are cars are regularly cleaned and polished before a scheduled service. 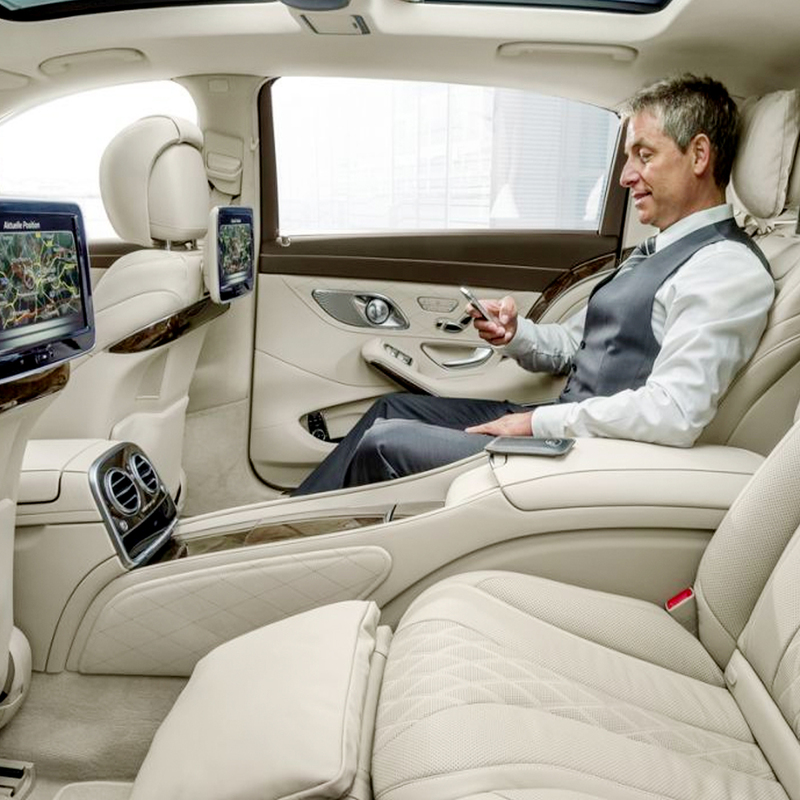 The car interiors include high-quality leather seating and always smell fresh. You can travel in BMW 7-series, Mercedes Benz, Audi A8, Toyota Previa or the Rolls Royce Ghost or Rolls Royce Phantom, among others. We even offer chauffeured Ferrari experience in Dubai. Booking professional drivers with clean, comfortable cars can be a headache in Dubai. Especially, when you have to manage a series of bookings. Get in touch with the OneClickDrive Team and we’ll help you manage them professionally. You can even modify / cancel your bookings with 100% refund 24 hours before the pick-up time. Unlike other Chauffeur services in Dubai, we’ve made it very easy for you to book us. All you’d have to do is head to OneClickDrive Chauffeur Service page. Select your pick-up location, the duration of your ride, and the pickup date. Once that has been done, leave the rest to us. What to consider while booking? It is always better to consider certain things before booking. First of all, these include the specific information required by us such as your location, duration of the ride, and pickup date. And secondly, you should look for the benefits that you’re going to be provided. A little peek into our chauffeur services would give you plenty of information. Our all-inclusive rates include chauffeur, fuel as well as salik (toll) charges. So you or your guests can be free of any discomfort throughout the trip. Still have questions? if you have anything to ask us directly, you can contact us right from our website. Click on that blue messenger icon and begin talking to us. We are eager here to drive you through the marvels of Dubai.